Fireplace and stove fuel can be used to make lighting your decorative fireplace easier. Some of them may also be useful for providing heat although many of the smaller fuels are only for looks and ambiance. There are even decorative fire starters that add beautiful colors to your outdoor fire or indoor fireplace. These decorative starters provide entertainment for both adults and children. Be sure to read up on safety with any fire starter or fuel and use it as directed. When you’re choosing a fireplace or stove fuel, be sure to find one that is compatible with your stove or fireplace. There are many that are designed specifically for use with one type of stove. Most are easy to use and light quickly to save time and energy. Many of these fuels come in sets to save money. The following are the top 10 best fireplace & stove fuels based on consumer report. 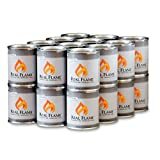 This set of Real Flame Junior Gel fuel comes with 12 cans. Each can is 7 oz. These cans of fuel are made from gelled isopropyl alcohol. They can be used indoors or outdoors. 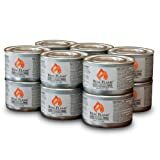 These gel fuel cans are made for use with the Real Flame personal fireplaces. They can also be suitable for certain other types of fireplaces. The Real Flame Junior Gel fuel cans are designed to crackle like an authentic wood fire. Each can is able to burn for around 2 hours. The cans are easily portable and they burn clean. They don’t leave behind smoke, soot, or ashes. These cans are designed for ambiance rather than to provide a source of heat. 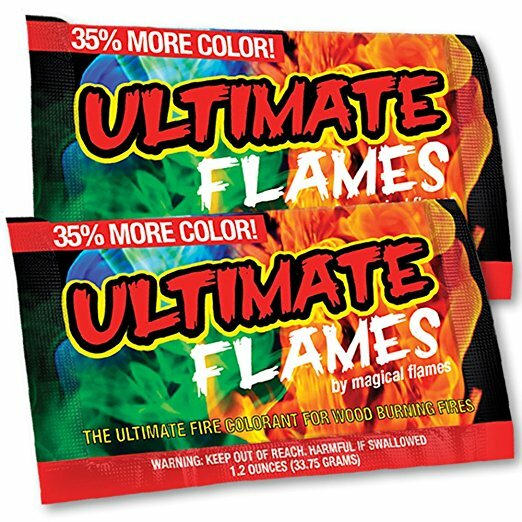 The Magical Flames set comes in a set of 50. These flames are ideal entertainment for campfires, bonfires, and fire pits. They can also be used indoors in nearly any type of wood burning fireplace. These pouches are portable and they’re easy to use. You simply toss one into the fire and wait for the variety of colors to show up. Kids and adults alike will enjoy seeing the flames change colors. 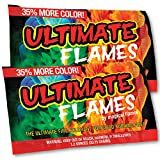 These Magical Flames are created to provide beautiful vibrant colors in your fireplace or outdoor fire. Each individual pouch can last for over an hour, providing entertainment for the entire family. They show purple, blue, orange, red, yellow, and even green. 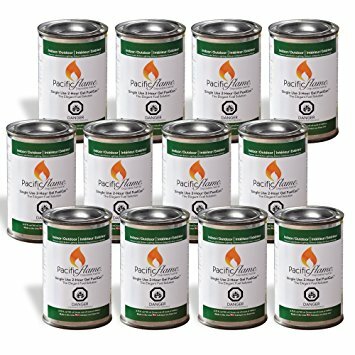 These gel fuel cans from Pacific Decor come in a set of 12. Each can is 4.75 oz. 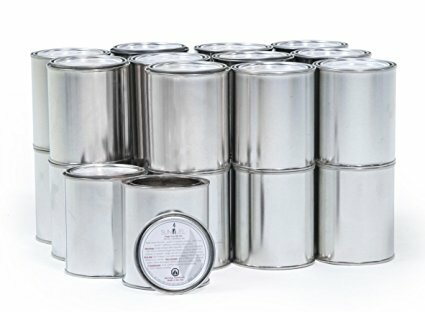 These gel fuel cans are designed for use with flame pots. They fit into most stainless steel cups and burners of various styles and sizes. They can burn for 2 hours per can. They are designed to fit many different brands of flamepots that are currently on the market. The Pacific Decor fuel cans have a flammable gel that lights quickly and burns evenly. They provide a 5 to 7 inch dancing flame. These gel fuel cans be resealed once cooled if you don’t want to use the entire can in one fire. They are also easily portable with sealed lids for protection against leakage. SunJel Fume-free Firespace gel fuel canisters come in a pack of 24. Each canister is able to burn up to 3 hours. These canisters are made with 100% recyclable metal. The fuel burns clean without odor or smoke to allow you to enjoy your fire without a mess. These canisters are designed for use with indoor or outdoor fires. The Sunjel fuel canisters produce a flame that is around 7 inches high. They are all made in America and they come with a 1 year warranty against manufacturer’s defects. These gel fuel canisters can provide a small amount of heat but are designed to create a beautiful ambiance. 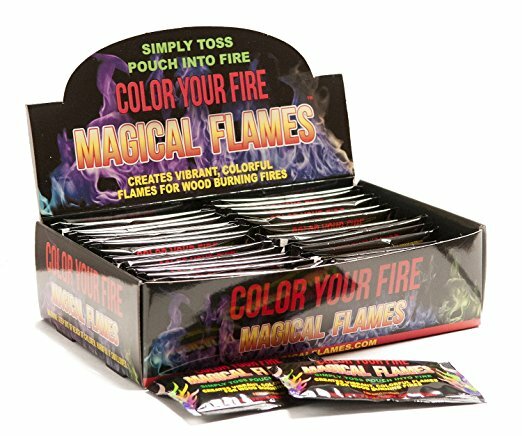 These fire additives from Magical Flames create a beautiful display of colors in your fire. This provides entertainment for all ages. They can be used in campfires, bonfires, wood burning fireplaces, and fire pits. They are made of materials that are safe for use indoors. They come in a pack of 50. Using Magical Flames in your fire means seeing vibrant blue, purple, green, yellow and orange. This rainbow of colors provides a unique experience and entertainment while enjoying the warmth of the fire. They are easy to use and you simply throw 2-3 packets onto the fire. They don’t create an odor, extra smoke, or emit harmful chemicals into the air. 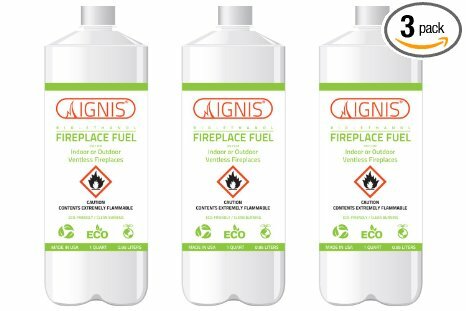 Ignis fireplace fuel comes in a pack of 3. Each bottle contains 1 quart of fuel. The fuel is made with 100% natural alcohol. This fuel contains no harmful additives and doesn’t have any oil or oil by-products. It is safe to use and doesn’t emit any chemicals into the air while burning. This fireplace fuel from Ignis is made from denatured alcohol and is environmentally friendly. It provides excellent warmth without extra smoke and soot. This product ignites quickly and stays lit for a long time providing a beautiful fire without the hassle. The Real Flame gel fuel is made from gelled isopropyl alcohol. These cans come in a pack of 24 and each can is 13 oz. This gel fuel can be used indoors or outdoors. It burns clean and doesn’t emit smoke, offensive odors, or soot. Each can is capable of burning for up to 3 hours. 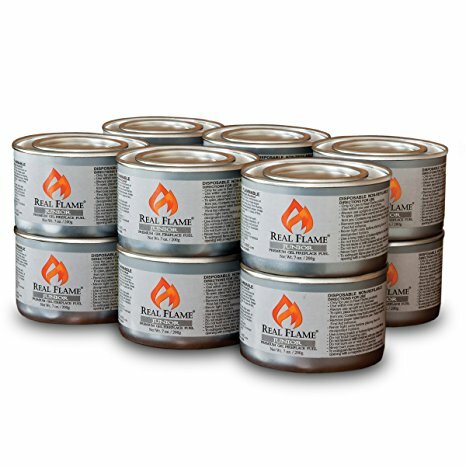 This gel fuel from Real Flame can be used in different types of Real Flame approved indoor and outdoor fireplaces. These cans create a beautiful flame with reds, yellows, and oranges. They are designed to provide ambiance rather than heat. The cans also create flames that crackle like a real fire for an authentic feel in your fireplace. 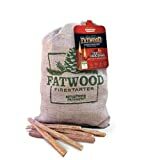 Fatwood Firestarter comes in a 25 pound box. This firestarter is harvested from the stumps of pine trees. This process helps to reduce waste and use up resources that otherwise wouldn’t have a purpose. The fire starter lights quickly and can be used in campfires, fire pits, barbecues, and other types of fireplaces. They are SCS Green Cross certified. 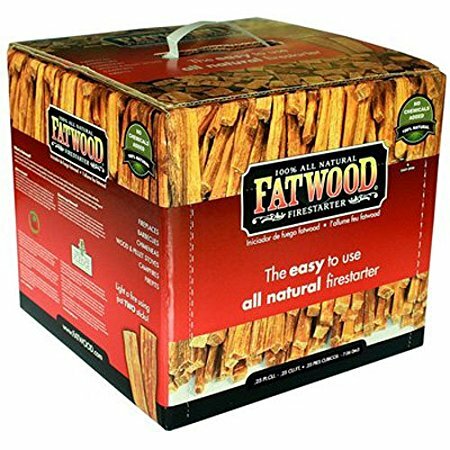 The Fatwood Firestarter is made of 100% natural materials. This material is easy to use and it burns efficiently. It’s non-toxic and can be used indoors or outdoors. The high concentration of resin in the fire starter means a user-friendly product that doesn’t cause frustration during lighting. 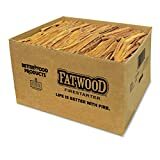 This 10 pound box of fire starter from Fatwood is made of material harvested from pine tree stumps. This wood has a high concentration of resin which makes it easy to light. It also stays lit for a significant amount of time so that your fire has time to get hot. 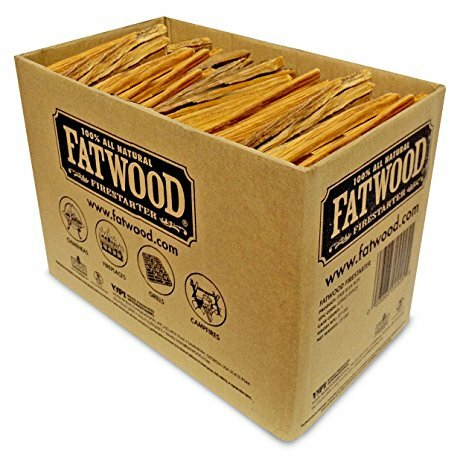 The Fatwood fire starter is made of 100% natural materials. The materials come from leftover stumps which allows a waste product to be used, making this product friendly to the environment. This material is not affected by moisture and can be lit even when wet. These fire starters have no chemical additives and don’t emit chemical odors. This Real Flame gel fuel comes in a pack of 12. Each can contains 13 oz of fuel. These cans can burn for around 3 hours each. They are designed to burn clean without smoke or chemical smells. This gel fuel is made from isopropyl alcohol. The fuel cans are safe to use indoors and outdoors. They make an authentic crackling sound that resembles that of a fire. 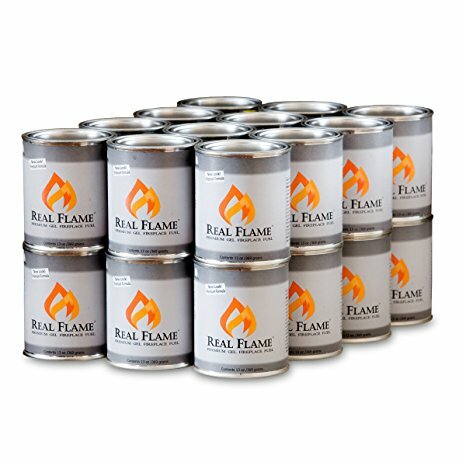 These gel fuel cans from Real Flame produce beautiful flames that are vibrant yellow, gold, and red. The fuel produces large flames that add a beautiful ambiance to your space. These gel fuels are designed for use in many different types of fireplaces and outdoor fires that are compatible with gel fuel. Fireplace and stove fuels make lighting a fire quick and easy. Many of these types of fuel are made of combustible materials that can be dangerous if not used correctly so it’s important to always follow the package directions. Stove fuels may be designed for use with a particular type of stove so you should check availability before you purchase them. Some can be used indoors or outdoors while others are only designed to be used on outside fires. When shopping for fireplace and stove fuels, it’s often best to buy them in a package that allows you to save some money over buying just a few at a time. Many of these types of fuels are individually sealed so that you can take them to campfires, bonfires, or other places without the worry of fuel leaking out. These fireplace and stove fuels can help entertain the family and many can also provide a small source of heat. Reading reviews on the different types of fuels can help you find one that works well and is worth the money.